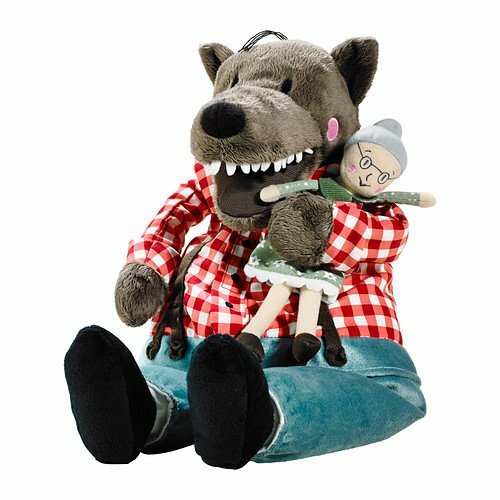 Lufsig, a stuffed toy wolf stocked by IKEA, has sold out in Hong Kong, after it became an unlikely symbol of anti-government protest. Based on the Red Riding Hood fairytale wolf, the toy flew off the shelves as people queued up for it from morning. An anti-government protester is said to have thrown the toy at Hong Kong’s leader CY Leung over the weekend. Its Chinese name sounds similar to a Cantonese profanity and critics have long nicknamed Mr Leung “the wolf”. A spokesman for IKEA Hong Kong said that customers arrived at the stores to queue for the toy at 07:00 local time and that by 11:10 the wolf had sold out. IKEA did not comment on any political message being read into the small stuffed animal, but it did say that none of its products in Hong Kong, including its soft toy range, had Chinese names. The wolf in question is called Lufsig in Hong Kong as it is elsewhere in the world. However, IKEA’s website for mainland China features the toy with a Chinese name, which sounds similar to a profanity in the Cantonese dialect. CY Leung has long been labeled “the wolf” by his opponents because his name resembles the Chinese word for wolf and they accuse him of being cunning. The toy even has its own Facebook page featuring spoof pictures of the wolf in various locations, including one with an image of the chief executive’s face superimposed on top. CY Leung was appointed as Hong Kong’s chief executive by a committee last year and has suffered from extremely poor popularity ratings. Among his tasks will be introducing a blueprint for universal suffrage allowing Hong Kong residents to choose his successor in 2017. His critics are skeptical of his ability to manage this process because of his ties with Beijing. Meanwhile IKEA says that new stock of Lufsig is expected in early January 2014.